Since the opening of the bypass bridge we have all seen and felt the impacts. Here’s a quick update on what’s happening with regard to traffic problems. 1. NDOT has agreed to widen US 93 using state gas tax funds. This widening is necessary to relieve the backups. Severe backups will return in the spring and summer. 2. The RTC and NDOT are preparing an application to the FHWA to temporarily redirect heavy truck traffic off US 93 and back onto US 95. This will offer relief and keep trucks off this route during the widening of US 93. 3. RTC has deployed a temporary traffic monitoring system along the US 93 Corridor to allow viewers real time video and traffic count information from the internet. 4. 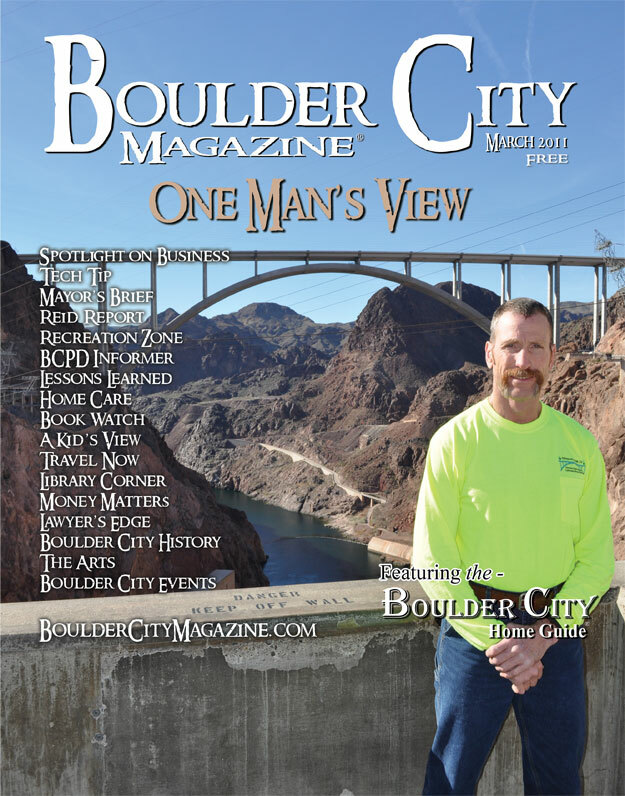 RTC is studying the development of a new transit route that would connect the business districts of Boulder City with the Hoover Damn Visitors Center. This may alleviate traffic and benefit local businesses. 5. NDOT is working on other short term solutions that may help improve the current exit that leads down to the Hoover Damn visitor center and Bridge. 6. The long term solution is to incorporate our bypass project into the Interstate 11 Project now being discussed by Federal and State representatives. The City Council will continue to work hard on this issue. Concern for our local residents and businesses is a priority and what we are fighting to achieve. I will keep you updated on future developments.